Most of the campsites at Camping.se are classified according to SCR Swedish Camping’s classification system Swedish Camping Standard. The classification measures what the campsites offer and their standard. This helps you to make a safe and informed choice, and compare and evaluate offers. The classification makes it easier to find the best campsite for you. The campsite classifications are carried out by an external party, and there’s even a special classification board appointed to interpret the regulations and make decisions on appeals and exemptions. hygiene, environment, service and activities. The coloured bars provide a more detailed description of the campsite and grade the five areas that we know are important to the holiday experience. The campsite’s sanitary services for personal hygiene (e.g. toilets, showers, child hygiene, family room), everyday tasks (e.g. places to cook and wash up) and other utilities (e.g. latrine emptying stations for motorhomes). Campsite infrastructure (e.g. entrances, pitch sizes), pitch service (e.g. power points, Internet) and surroundings (e.g. waste collection, maintenance of external areas at the campsite). Services that the campsite offers, for example, reception, trained staff, shops, restaurants and cafés. Activity areas at the campsite such as playgrounds, pools, playing fields, mini-golf, jogging tracks, and bicycle and canoe hire. Organised activities at the campsite such as leader-led arrangements for children and adults, shows, troubadours and dancing. terms. Wilderness camping is classified but not given stars or bars. 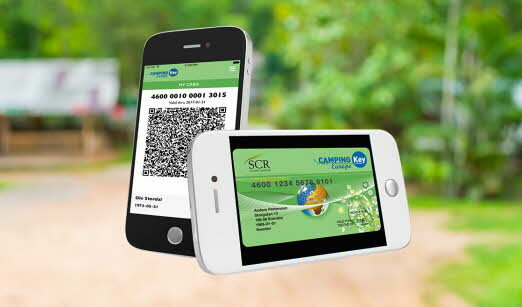 With the search function at Camping.se you can easily combine different star ratings and bar levels to find the campsites that meet your specific requirements.